Our trusted sewer repair technicians will conduct a visual inspection and, if required, a video inspection of your sewer line to determine the cause of the problem. Next, we'll provide you with an assessment and a fair and reasonable quote to perform the repairs. Your sewer problem will be fixed in no time, and you'll be back to happily ignoring your sewer! Unlike many local plumbers, All About Rooter LLC will not charge for your service call. If you're looking for an honest plumber you found him! Call (253) 200-1643 for a quick, free quote. An area leader for sewer repairs, All About Rooter LLC provides the full range of plumbing services, and specializes in residential and commercial sewer line repair. Clogged pipes lead to overflowing sinks and toilets and unhealthy, unhappy environments. 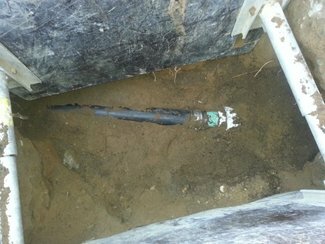 We unclog sewer lines, and sewer mains, conduct camera inspections and remediate and prevent sewer backup in homes and businesses. and more! Just call (253) 200-1643 for a sewer repair estimate.